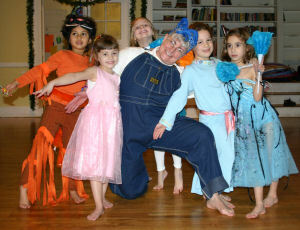 SMALL FEETS DANCE COMPANY is a dance company for children ages 6 and up. Performance is the artistic ‘product’ of dance study. It is valuable for dance students to participate in performances because the mastery and feelings of achievement for successful performances enhance self-esteem and make children more a part of the dance world. It’s lots of work and lots of fun! Our goal is to present finished, artistically rigorous, age appropriate works that are collaborations between choreographer, musician, dancers, and parents. There will be two performance groups this year. extrasmallfeets dancers will meet on Tuesdays as the end of the K/1/2 class. Dancers are only committed by the session. They will prepare short pieces for our last day showings and may participate in the Final Concert. 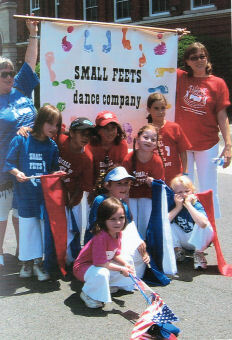 There is also the SMALL FEETS dance company, ages 6-11, an extensive dance experience that lasts all year. 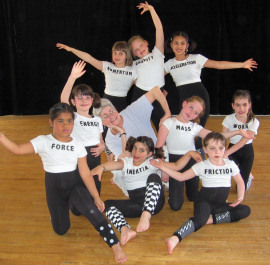 The group will dance in the Brookline First Light Festival, the Children’s Dance Festival, in our annual Year End Concert in June and other possible venues. The SMALL FEETS attend concerts together, and parent participation is required. Class/rehearsal will be on Tuesday afternoons. 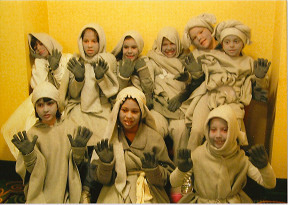 This group is open to children by audition. The Winter/Spring group begins on January 15, 2019. There is a separate SF registration procedure, please call to arrange participation. and making friends in the process. We are still talking about you and your Small Feets! The residents absolutely LOVED having your dancers here and I am already daydreaming about having them come perform as the magical little fairies that they are around the holidays. How did you feel about your performance?